Gain more muscle and improve your strength in less time. If you're looking to get stronger, bigger, and become an overall be a better lifter, the Bulgarian method could be the method you’ve been looking for. During the 1970s and 80s the Bulgarian weight lifting team dominated the lifting world. No other team had won as many medals as the Bulgarians, and they had Ivan Abadjiev as a head coach. He’s the man behind the Bulgarian method. At the time his training was considered a bit unorthodox, but modern science could prove that he was ahead of his time. In a nutshell, the Bulgarian method trains certain weightlifting movements — snatches, clean and jerk, front squats, overhead squats, high pulls, and back squats — for six days a week, two to three times a day at 95 percent or higher of your one-rep max. It’s a brutal method that can produce incredible results -- this is what Abadjiev is known for. I know what you’re thinking, "I am not a weight lifter and I don't have time to train twice a day for hours on end." But if you want extraordinary results, then you’ll have to think outside the box. Lets bring in the science and understand why they would train this way. The general adaptation theory states that when an organism is placed under a certain amount of stress, that organism will become adapted to that stimulus. This means that no matter what stress we place our bodies under, your body will adapt and become stronger to compensate. Different training stresses will produce different adaptions. 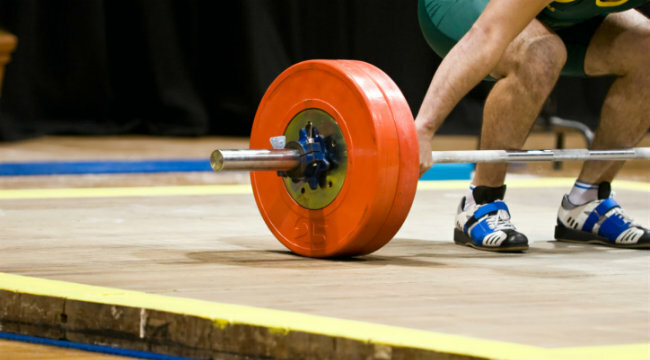 Abadjiev’s rational was that weight lifting is a sport just like any other. To get better in a sport, you have to practice certain skills over and over again — great athletes like Michael Jordan practiced their sport daily. Even though working out is not a sport per say, it still involves a certain level of skill. To get better, you have to practice your skills on squats, the bench press, and deadlifts. Abadjiev also believed in practicing the movement you want to get better in it. For example, if he wanted to help his athletes improve their overhead squats, he would have them perform the overhead squat repeatedly. No other exercise can mimic the one you're trying to improve. To overcome overtraining, Abadjiev cycled his athlete’s workouts with heavy and light days. The heavy days allowed the athletes to overload the intended lift and light days allowed for joint recovery and skill improvement. He would also hold mini competitions for his athletes every three weeks. The mini competitions would ramp up the intensity levels and force the athletes to compete at higher levels more often. The Bulgarian method is a great example of a periodization program because athletes would train hard for a few weeks and then go back down the ramp and then up again.